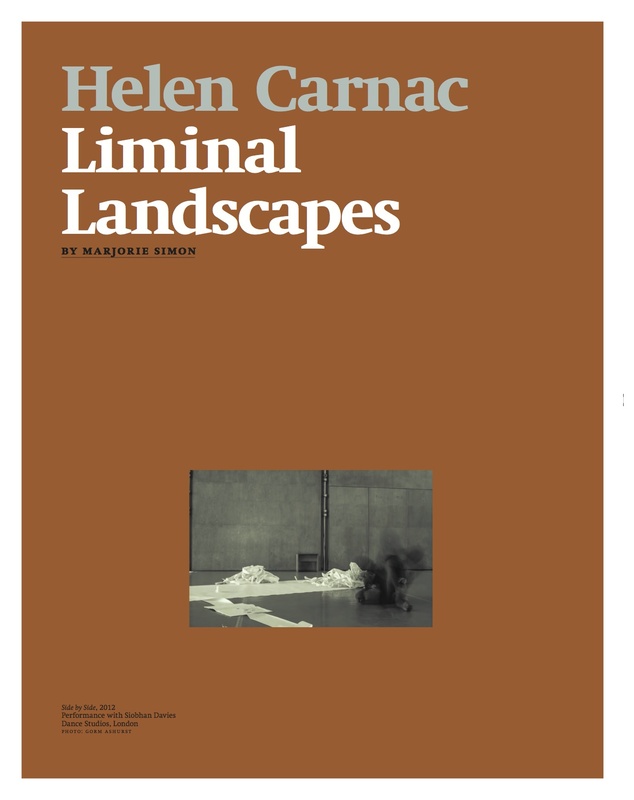 Helen Carnac has been working full time as an arts professional since 1994. Her work, research and other professional commitments bring together a diverse, but connected ecology of teaching, advocacy, studio-work, curation, mentoring, and writing. Finding the most appropriate means and strategies to enable knowledge and understanding to emerge in a range of settings is at the core of Helen’s work. Helen is a leading artist in her field with several major articles written about her in the past three years. Most recently Emma Crichton-Miller wrote a detailed article about new work Helen and the Furniture Designer David Gates have been making in collaboration. In 2015 Marjorie Simon wrote a major piece about Helen for the USA publication Metalsmith and Reinhold Ziegler an online profile for Norwegian Crafts. Helen has a solid grounding and education in making and in the applied arts, always taking this knowledge to be a starting point. Her approach is expansive and connective, aiming to develop knowledge and forge new thinking and links from this grounded practice. This has been tested most recently through working with the dancer and choreographer Laila Diallo in a process based practice since 2012, their most recent works have been shown at Whitechapel Gallery (2016), Arnofini Gallery (2015) and The Dovecot, Edinburgh (2015). Helen has worked at Middlesex University since October 2011 as a visiting lecturer and since 2014 as a 0.4 Senior Lecturer, writing the MA Jewellery Futures and developing the BA Design Crafts programmes. She has worked in Higher Education since 1999, firstly as an associate lecturer and then as a Higher Education Innovation Funded, Research and Employability Manager/Animateur working in the realm of knowledge transfer and exchange. This outward-facing project resulted in the development of external projects for students and staff, writing funding bids and conducting research about student employability alongside the University’s Head of Employability. Helen has sat on Artquest’s advisory panel since 2010 contributing to the development of ideas and supporting and advocating their work. Since 2011 she has been Fellow of the Royal Society of Arts. It is this outward-facing and research-driven exchange of knowledge that Helen is deeply committed to and she sees the process as one that both informs and develops the work that she does with colleagues, students and audiences of her work – in made, written and spoken forms. Commissioned by Siobhan Davies Dance and funded by Arts Council England. Engaging audiences in thinking about how processes that are emergent and ongoing but not necessarily ever finished or complete are understood. Commissioned by Siobhan Davies Dance to work with the choreographer and artist Laila Diallo in a six-week residency. This has led to the artists developing thought about how we remember through our selves, objects and places. The project was funded in order to document artists’ processes and to develop knowledge about how a work may come into being. It has been used in the ongoing research and current PhD of David Bennett at Coventry University, where the Siobhan Davies Dance archive is also held. Awarded Cultural Leadership Programme (CLP) in order to develop thought about how the Arts are communicated. Working extensively on disseminating knowledge through curating the Craft Rally, 2010, Chelsea College of Art and funded by UK Crafts Council and Artquest with a follow up event at the Millennium Galleries in Sheffield. Also taking part in two USA based seminars: ‘O Brave New World’ at Haystack Mountain School of Arts, 2009 and ‘Why Craft Now’ a USA Crafts Council invited 3 day seminar where Helen was the only International invited guest and contributor. Through this fellowship Helen trained on the Clore funded programme in Relational Dynamic Coaching and took part in a Leadership Development scheme called ‘Method’ with 21 artists. Guest Professor at Kunsthochschule Weissensee for four months. This project underscored the importance of working collaboratively, in motion and developing thought from real life situations and scenarios that were encountered through the project by the student cohort. The project resulted in the publication of a book. ‘A Shared View, Stitching Together Ideas in Time’, published by Greenlab, an EU sustainable laboratory for design. Helen has developed many similar projects and presented them Internationally from Moscow to Seattle. Speaking extensively about the connection to making and thinking through the connection of hand, body and mind, most notably at seminars with the anthropologist Tim Ingold (Cubbitt Arts 2011), choreographer Siobhan Davies (Jerwood Foundation 2011) and at the Norwegian Crafts Council’s symposium on Craft and Social Change (Toynbee Hall 2013). Currently she is a member of a development committee for the Product Department at ARTEZ, Arnhem, Holland, where the aim is to redevelop and redesign the structure of all their programmes to include a highly reflective and applied approach to making and designing. Commissioned to research and co-curate with Craftspace ‘Making a Slow Revolution’ which aimed to provide a forum for open discussion around the contribution of contemporary making and design to some of the philosophies presented within the Slow Movement. This research resulted in writing and securing a substantial Arts Council bid and a seven venue national touring show, which premiered at Birmingham City Art Gallery. The project received international attention and has been peer reviewed internationally, (several featured artists returning it as an outcome for REF2014). Helen travelled extensively to give lectures and run seminars about the subject matter over a number of years, bringing focus to the development, sharing and dissemination of knowledge. The exhibition ended in 2011, but its legacy has continued and Helen still regularly writes and talks about the project. Through the project she was appointed an Associate Fellow with the Textile and Environmental Design (TED) based at Chelsea College of Art. Emphasising the contingent nature of process, doing, handling material and working together Intelligent Trouble (IT), a London based collective of makers sought to explore the possibilities of working together whilst ‘shift(ing), change(ing) and remain(ing) the same’. IT began when a group of 4 makers, Lin Cheung, David Clarke, David Gates and Helen Carnac, decided they wanted to work together, with no particular outcome but as a response to showing works together during the exhibition In Transit in 2009 in Munich, which was installed in a working foundry as part of the Schmuck jewellery show. Co-convening, fundraising, directing and chairing the ‘Carry the Can’ academic conference funded by ACJ, HEIF, Arts Council England and Metal Events in order to raise issues of awareness and a forum for discussion of how artists and makers contribute to legacies within practices, processes of designing and in making objects. This project aimed to gain understanding of discreet languages of making and their specificity to individual practice. Examining this in the first instance through an exhibition and catalogue, with an invited written contribution in the form of essays and maker interviews by Dr Paul Harper. The exhibition toured 3 venues. Aiming to understand more about how the act of making may be understood both inside and outside practice and whether this act is more understandable when we are able to encounter the process in whatever way? In 2006 ‘process’ was rarely examined in exhibitions of made artefacts in the Crafts and yet we wanted to show that making implies a process – a journey, an examining of thought, of meaning and a putting together of elements, materials and ideas. Exchanging work and making with a group of staff and recent graduates from London Guildhall University and Alchimia Jewellery School in Florence. Dialogue was both collaboration in making and conversation. It initiated a long period in Helen’s work, which continues, when she has actively chosen to work with others, often in preference to working alone. It was around this point that Helen had also begun to think that the importance of her work did not lie only in finished artefacts but that it was about a more open-ended and expansive process of putting things together and taking them apart: exploring the nuts and bolts of making. 2014 – Senior Lecturer and Programme Leader Middlesex University: BA Jewellery, BA Design Crafts, MA Jewellery Futures. Sept 2002- 2006 London Metropolitan University. Sir John Cass Department of Art, Media and Design Research and Employability Manager and Animateur. Jan 2001- July 2002 Ravensbourne College of Design and Communication Lead Tutor Foundation: 3D Design – Product, furniture, Jewellery, constructed textiles, interiors, set design, industrial design. Anti War Medals, Gallery I/O, Thomas Mann, New Orleans. 2007 Virginia Commonwealth University, Richmond, Virginia, USA. 1990 B.T.E.C HND Design Crafts, Plymouth College of Art & Design. 2015 Dovecot Studios, Edinburgh; Re:Public Jewellery, Munich; SNAG Conference, Boston USA. 2014 KHIO, Oslo; Whitechapel Gallery, London, University of Hertfordshire, MA. ‘The Journal of Modern Craft’, vol3 no.3 Nov. 2010 pp373-5. Exhibition review, Taking Time; Craft and the Slow Revolution.